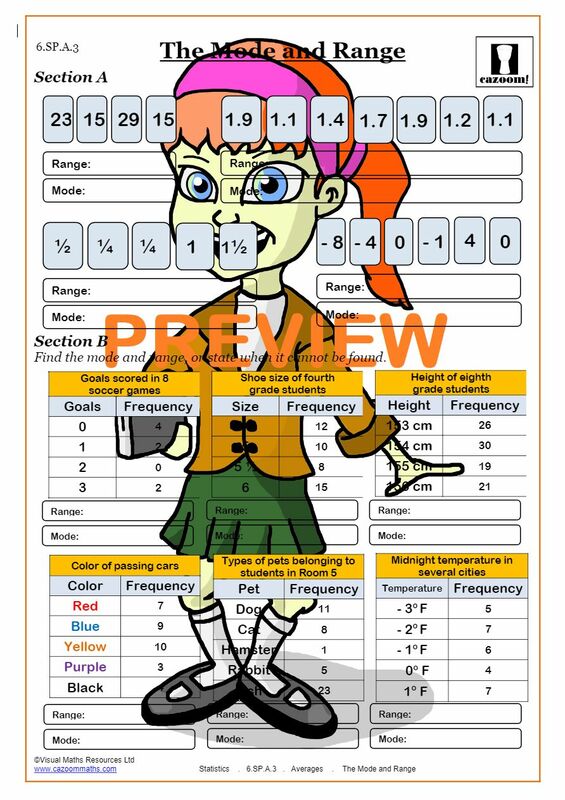 Our mean, median, and mode worksheets are designed to help students understand how to calculate all the different averages, or measures of center. 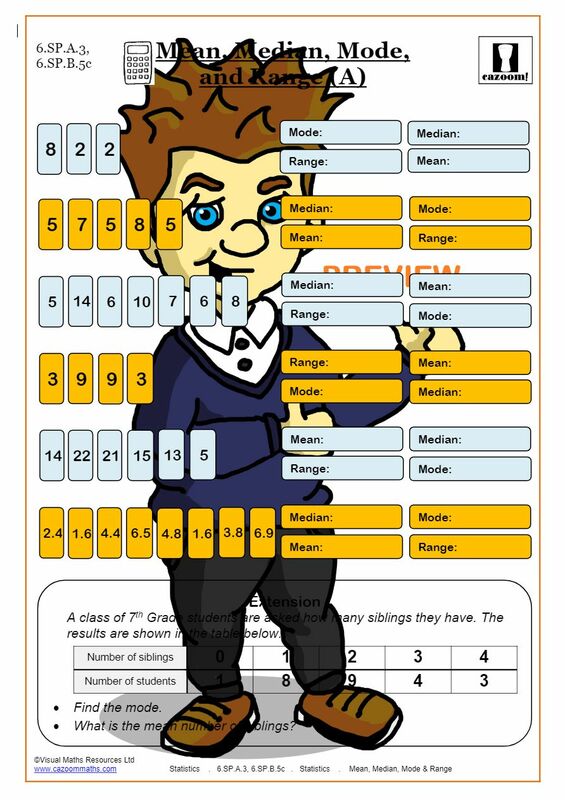 The worksheets also provide practice calculating the range of a set of data. 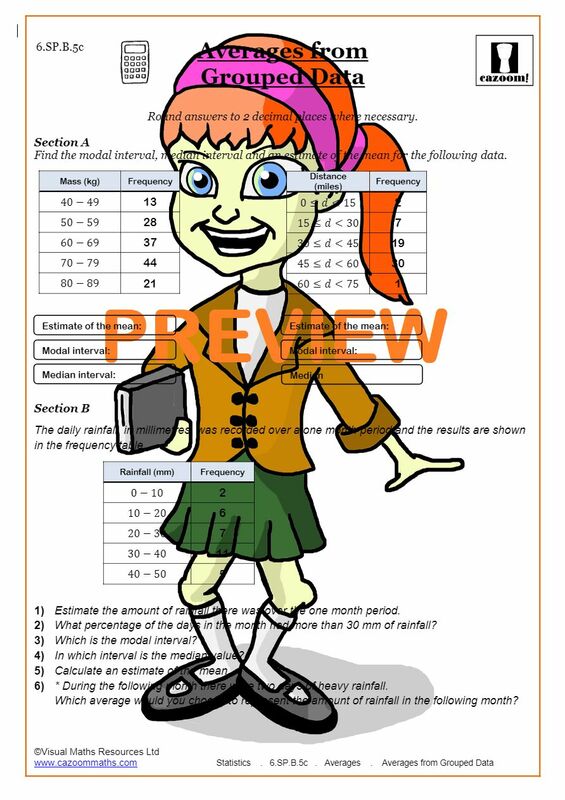 Our clearly presented mean, median, and mode worksheets cover estimating the mean, comparing data sets, determining the best measure of center, as well plenty of questions to help students calculate the mean, median, mode, and range. 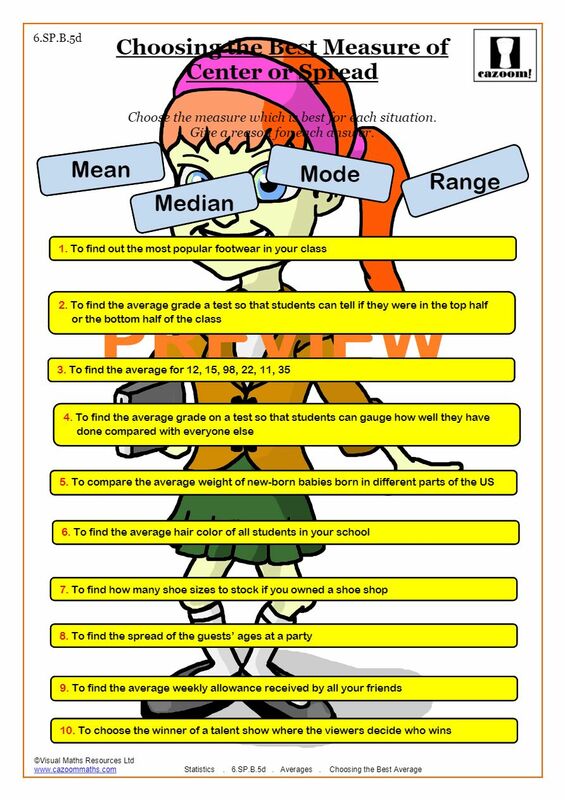 Students can also practice calculating averages from frequency tables and from grouped data with our mean, median, and mode worksheets. 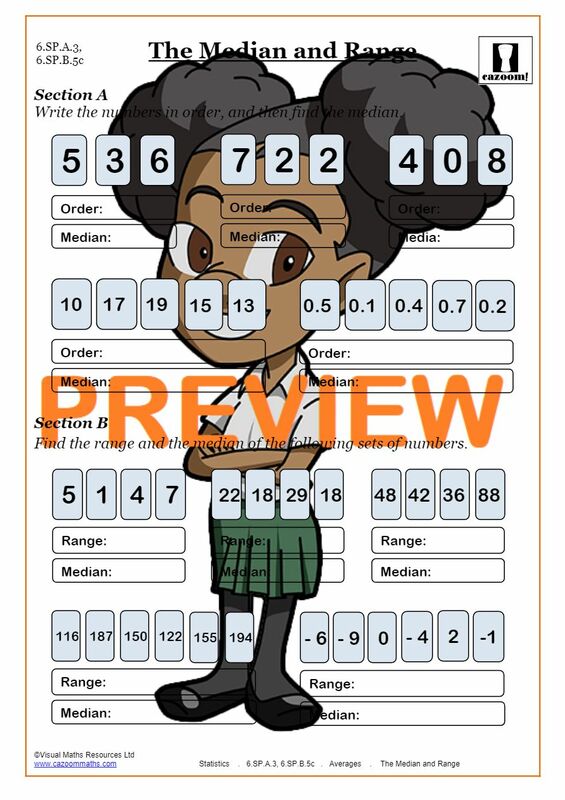 All of our resources at Cazoom Math will help your student or child learn to calculate the mean, mode, median, and range with ease. 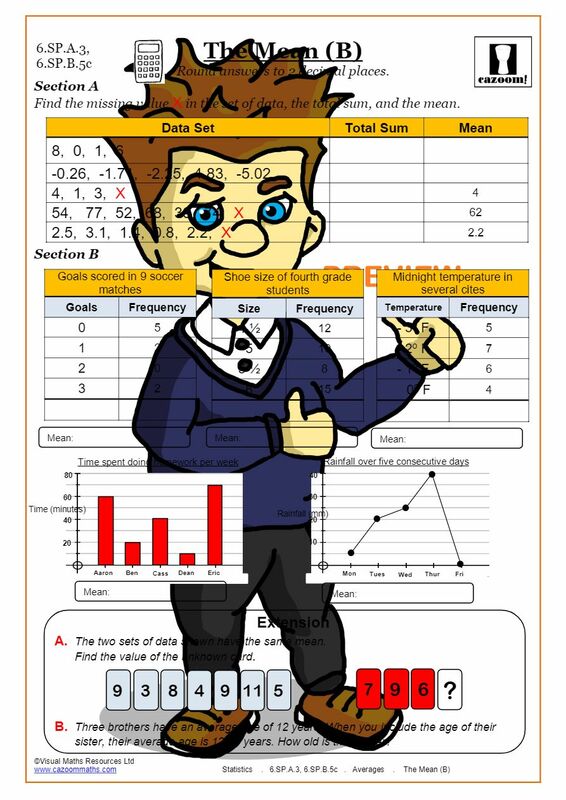 We offer a large range of math worksheets to help your student or child master the these statistical measurements. 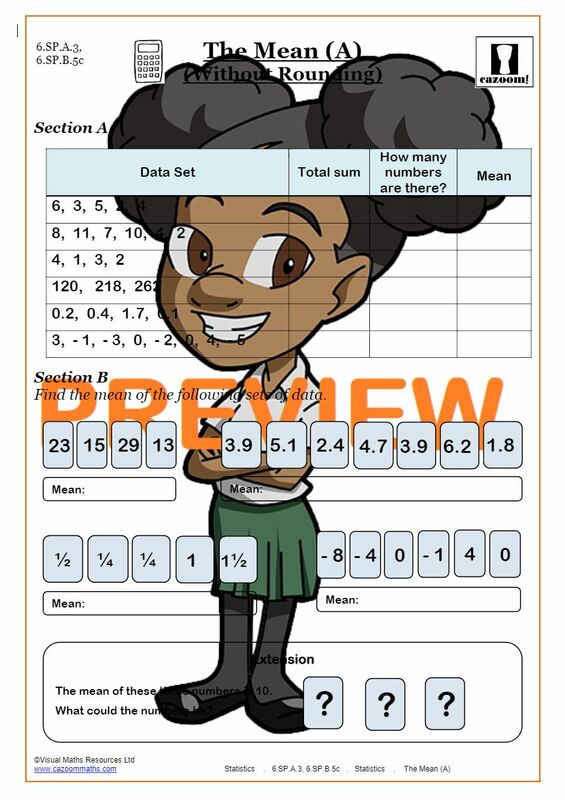 All of our mean, median, and mode worksheets are easy to follow and make the topic engaging for students. 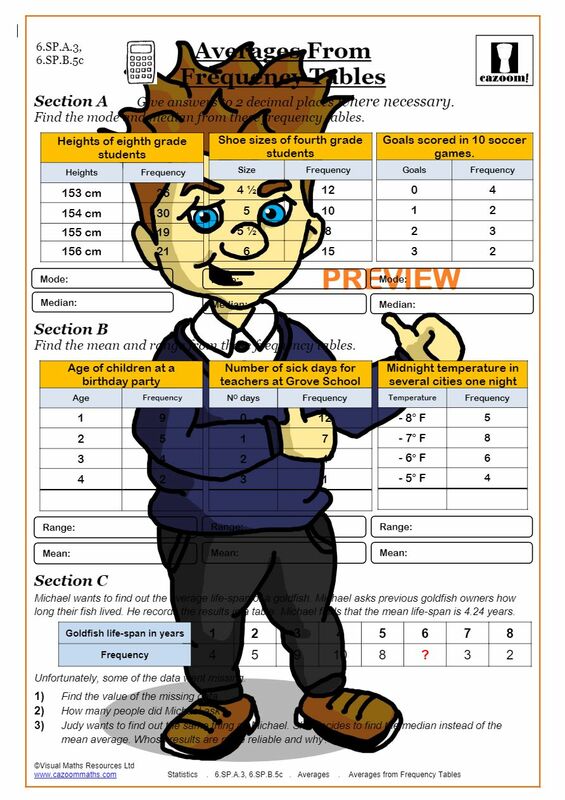 Our worksheets with answers are designed for students of all abilities to help them succeed at calculating the different measures of center from frequency tables or grouped data and achieve above average grades! Although when we hear the word “average” we tend to think of the mean, the terms mean, median, and mode are all types of average, or measures of center. Whenever any set of data is being analyzed, it is likely that at least one type of average will be calculated. Scientists and other researchers usually calculate the mean of their sets of data. 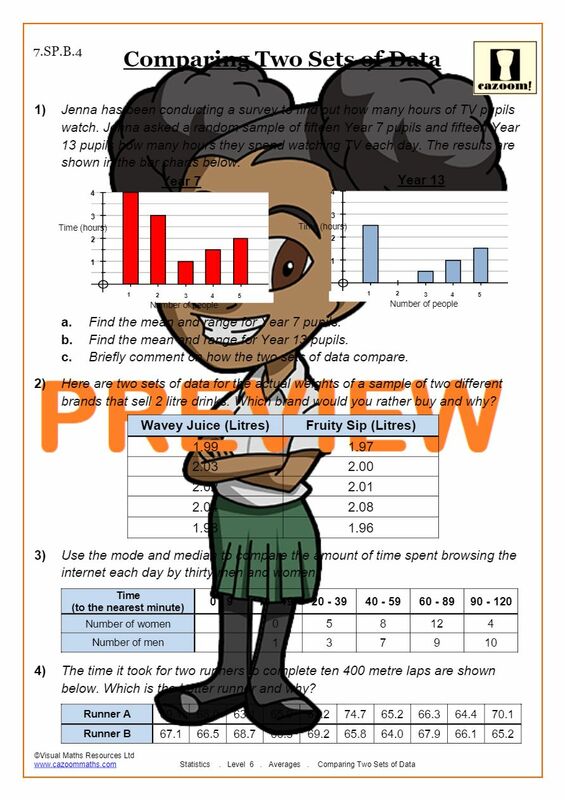 For example, if someone wants to know the average height of the students in a class or the average income of a town’s population, the mean will usually give a more representative average than the median or the mode. However, the mean can often be skewed by the influence of outliers, so if there are anomalies in a data set, the median makes a more reliable way of interpreting the data. In school, children learn not just about how to calculate the mean, median, and mode, but how to apply these skills to their everyday lives. Mastering data analysis skills, such as calculating the measures of center and measures of variability, will help children in their science classes, and will help them interpret and understand statistics that appear in the news about current events. Using mean, median, and mode worksheets will help students master this essential skill and prepare them for the future. 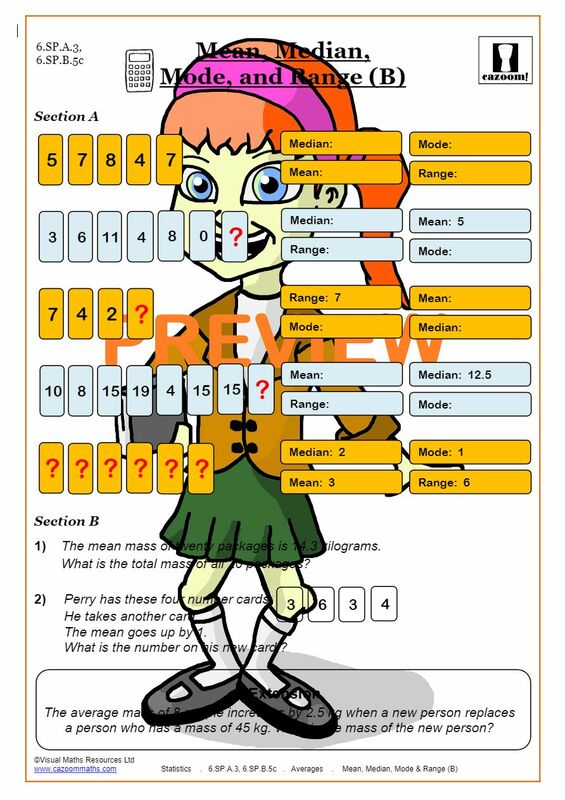 Math worksheets provide an excellent resource for both teachers and parents to support a student’s learning.